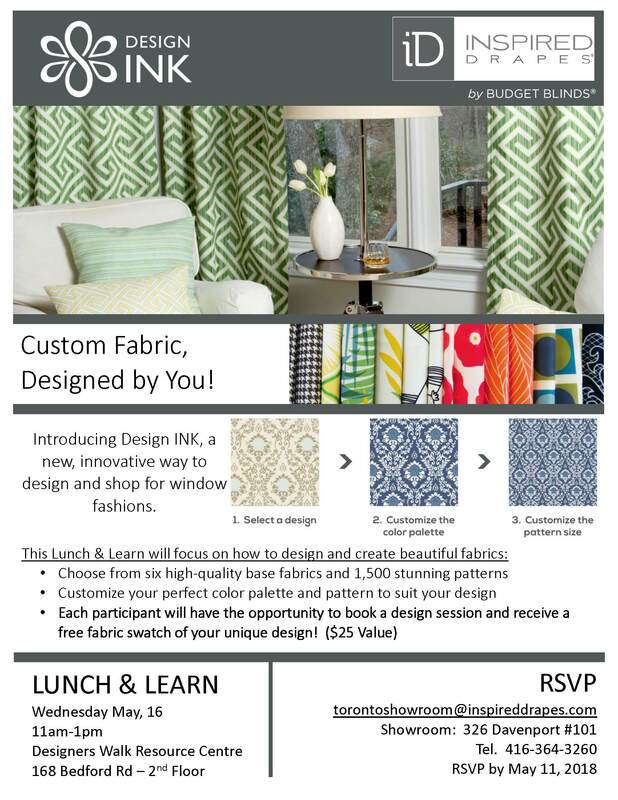 Join Inspired Drapes & Shades as they show you innovative ways to design custom fabric for your design projects. Lunch will be served. RSVP to torontoshowroom@inspireddrapes.com. See invitation for details.